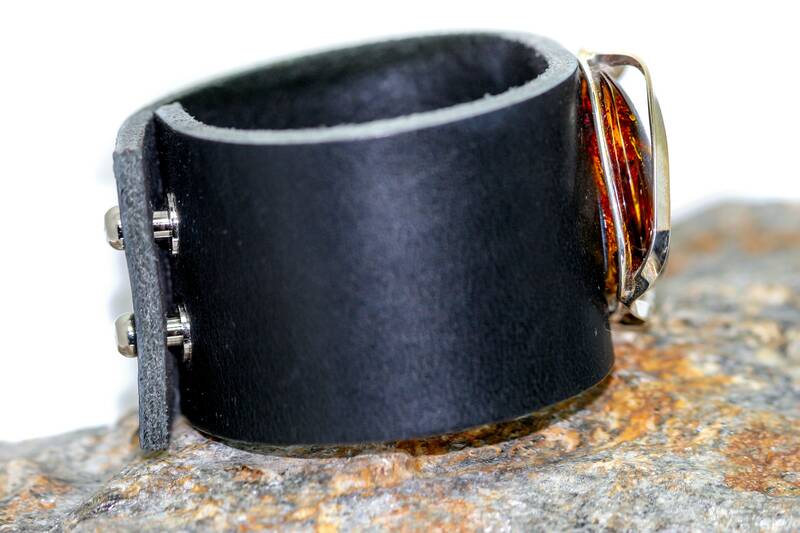 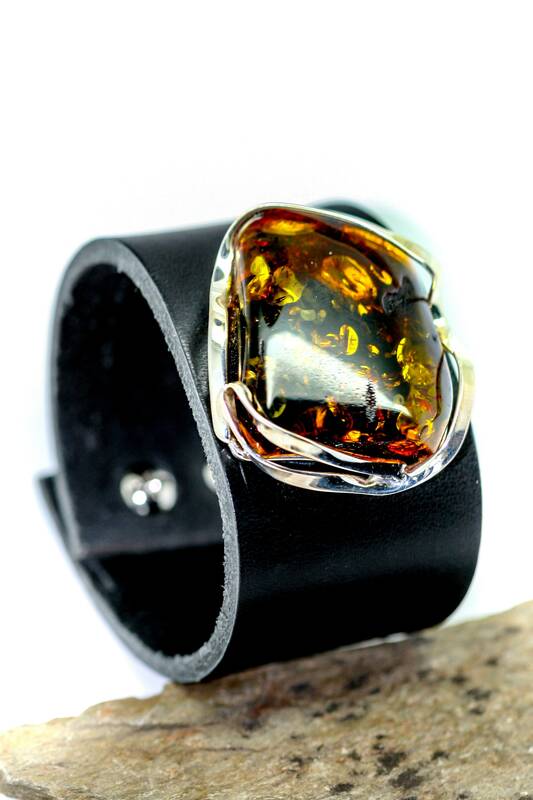 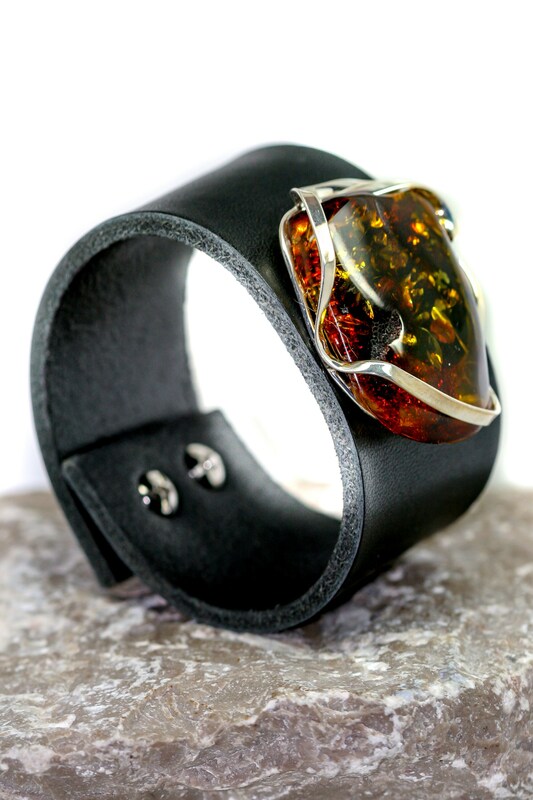 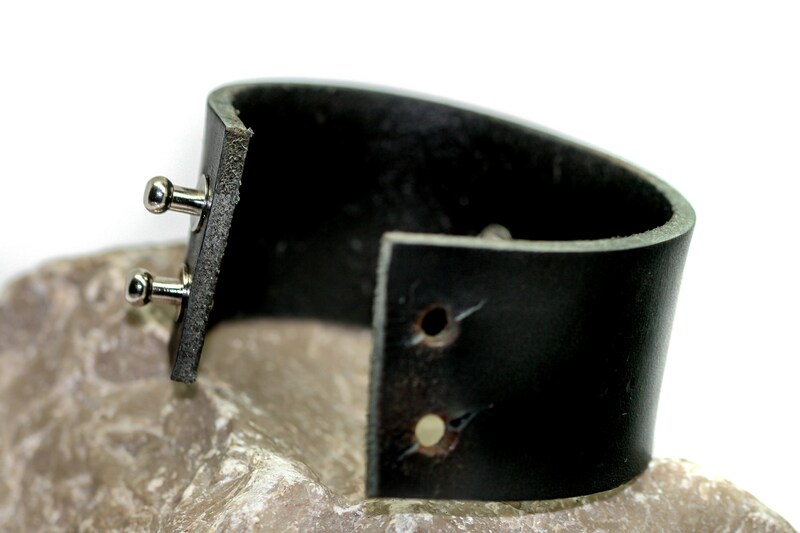 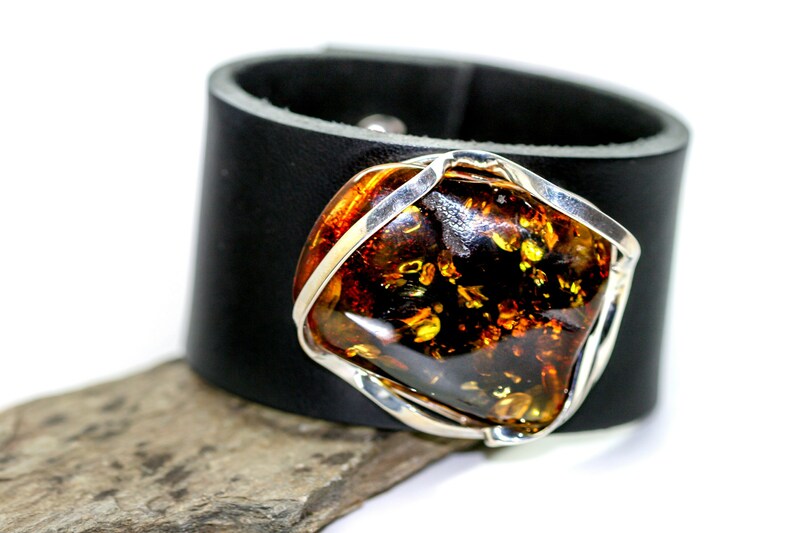 Natural leather and Amber bracelet designed for everybody who like unusual jewellery. 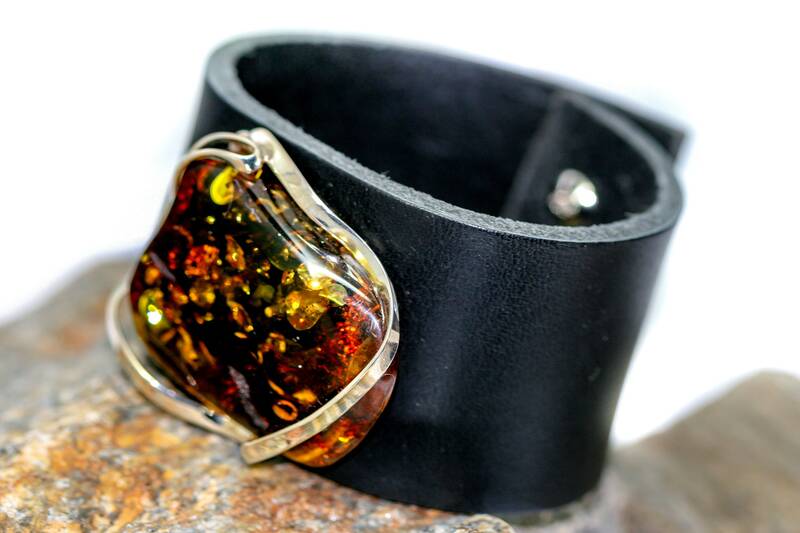 Lovely bracelet made of cognac Baltic amber which has been lovely set in sterling silver. 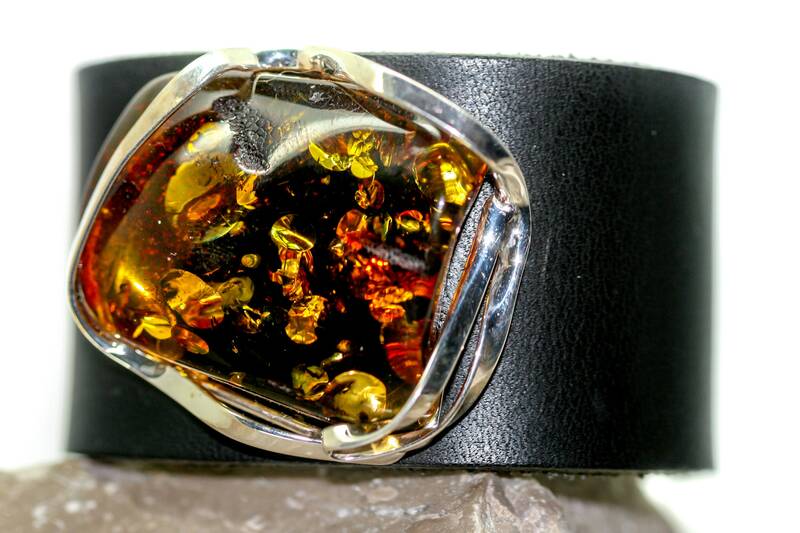 Nice shade of Amber with intriguing inclusions. 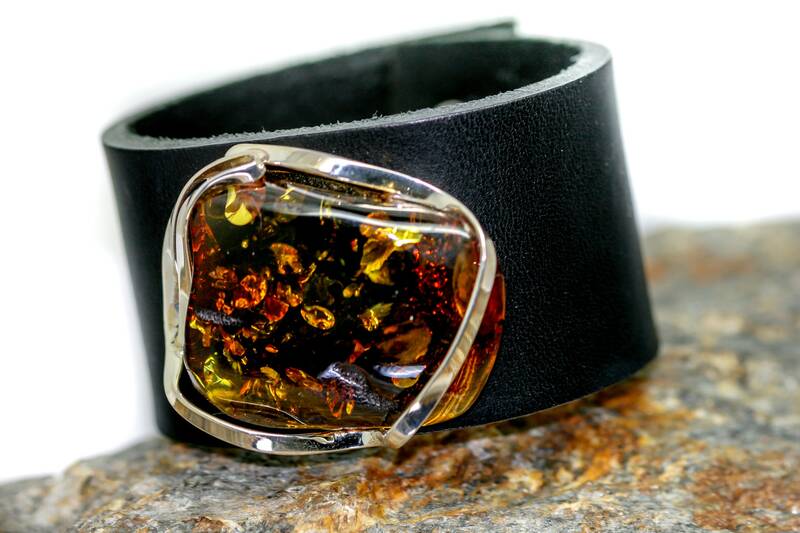 This setting has been made for this individual stone, so this bracelet is unique and one off. 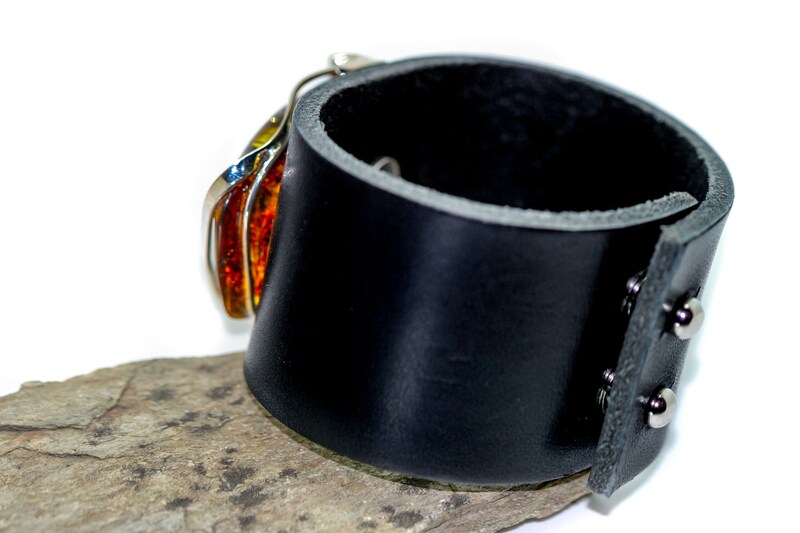 Size of the design: 7.5 inches long and 1.5 inches wide. 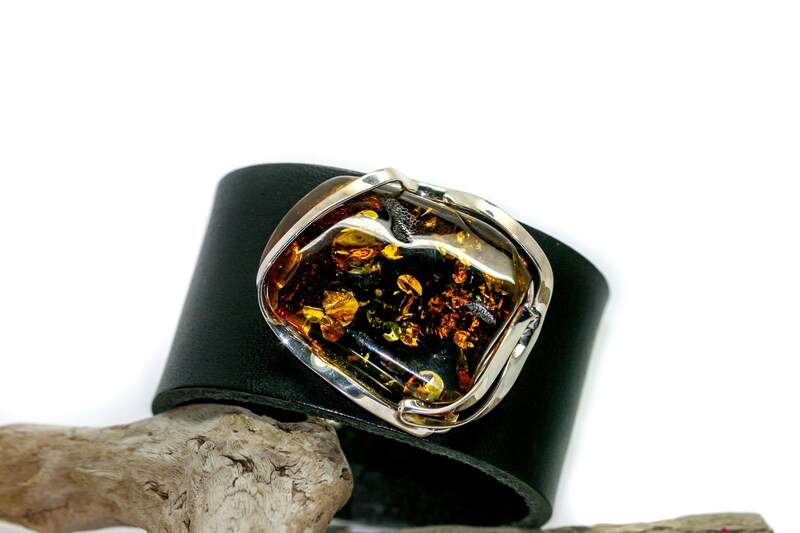 Size of the stone: 40mm hight, 46 mm wide.